This little city (11000 ft) welcomes those who come to it with promise of cool, relaxed but adventurous days and easy evenings. Because of its location at the roof of the world and heavy snowfall, Manali- Leh highway and Srinagar – Leh highway road to this place is open only from June – October every year. It took almost 3 days for me to reach there but I enjoyed it. Day 1 – It was early morning and after having good sleep last night I was feeling very good. After taking bath and then breakfast I asked one of the hotel staff about the local sight-seeing. He smiled and asked me to come with him in the hotel garden. Then he showed me one side Leh palace and then another side Shanti Stupa. Both were walkable distance from my hotel. 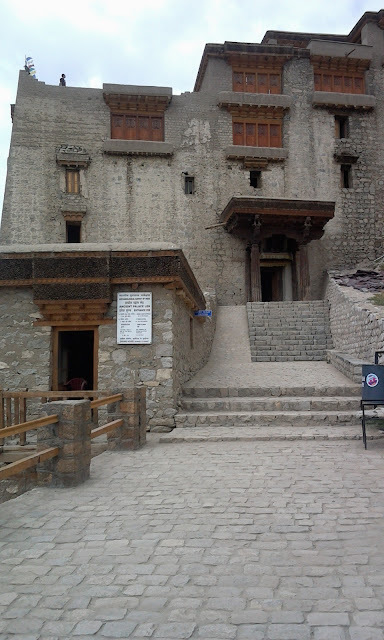 I decided to visit Leh Palace first. It stands in its ruinous yet magnificent form on the fringes of the Namgyal Hill. 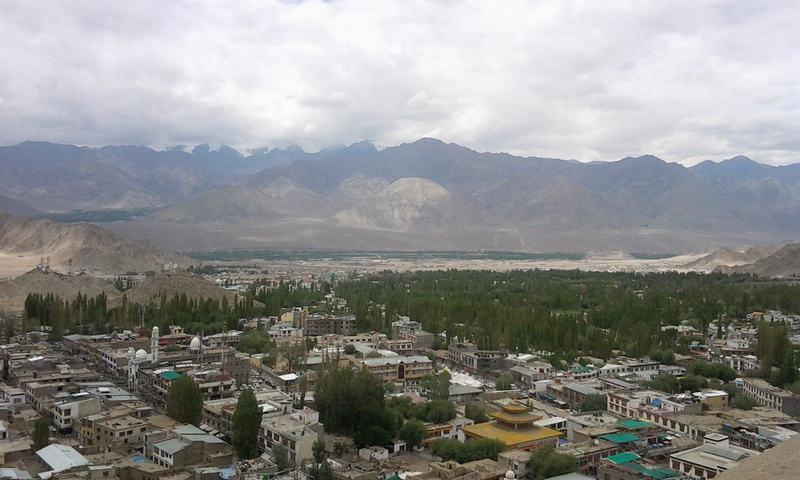 You can climb up to there for a good view of Leh and surrounding peaks. There was one temple and I saw little girl there. Her mother was actually taking care of the temple. Then I asked her about the temple, how old it is, books over there. To my surprise that 8 years old girl told me so many thing about the palace and history over there. I offered her 5 star chocolate which I had in my bad. She took it and then for the next 1 hour she showed me the entire palace and told me more about the sightseeing in Leh. Next day was 15th August, so she told me that there would be flag hosting in the polo ground and asked me to visit that as well. 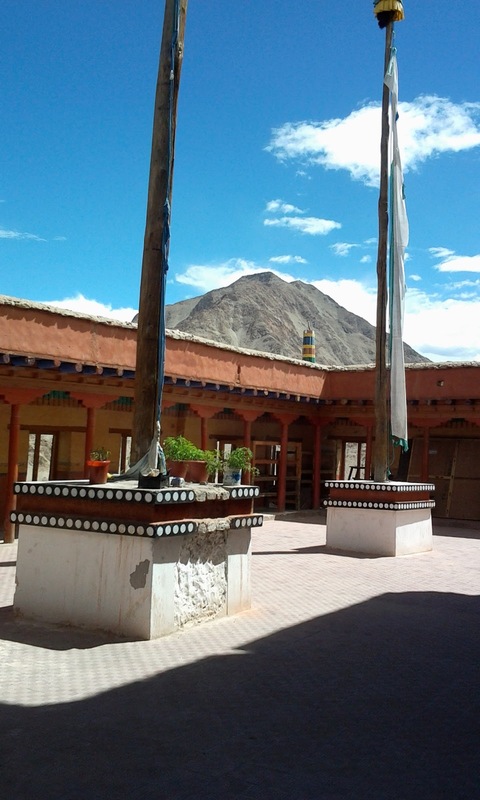 Above the place, on top of the Tsemo hill, stands the ancient Leh fort. 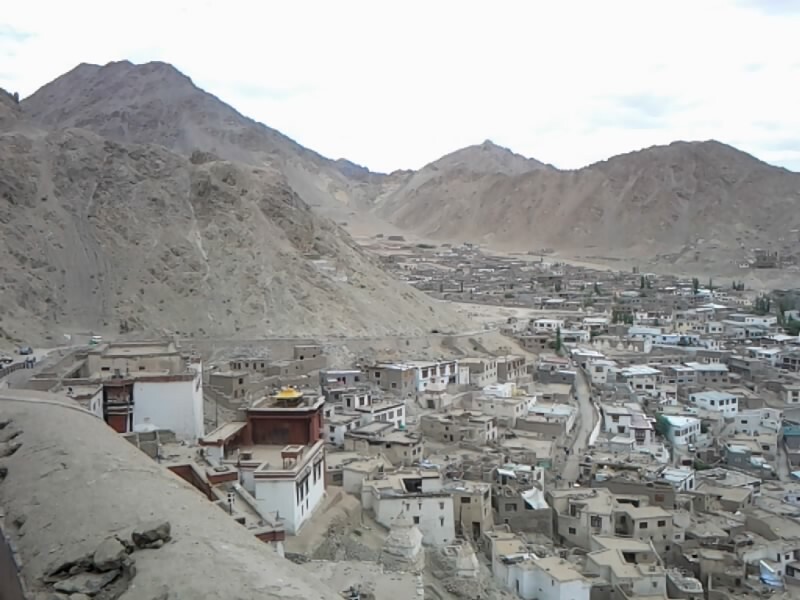 There is one Tsemo Gompa (Temple), above that another abandoned Gompa but great spot to get the breathtaking view of Leh. When I was getting down from the Leh palace then I met Pune group again, we all went down and started exploring Leh main market. 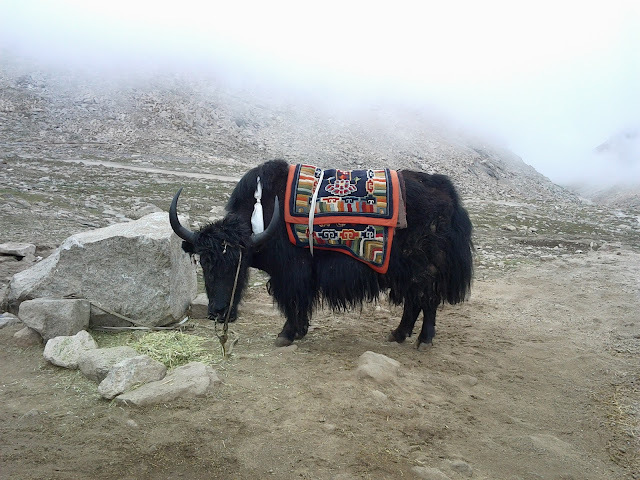 We were looking for good tour operator to plan further. We got one and booked one Innova for next day. 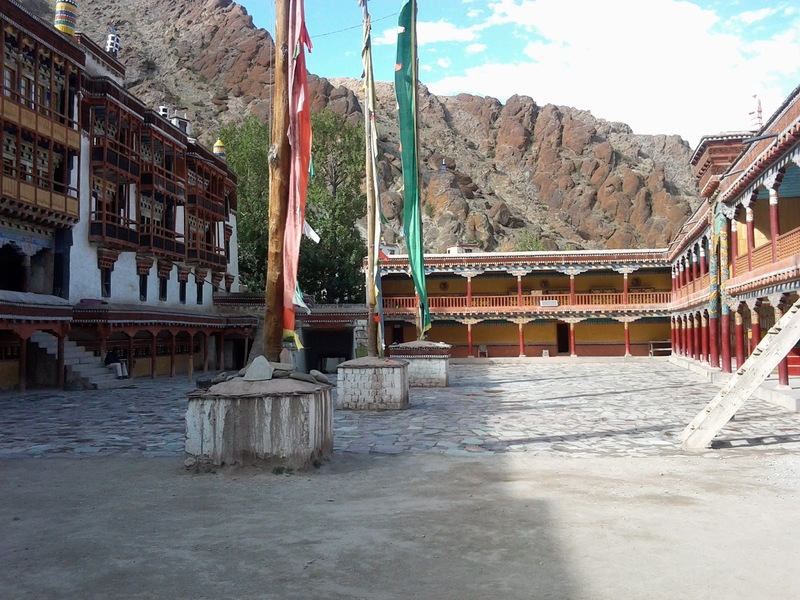 Idea was to visit most of the old Monastery and Gompas. 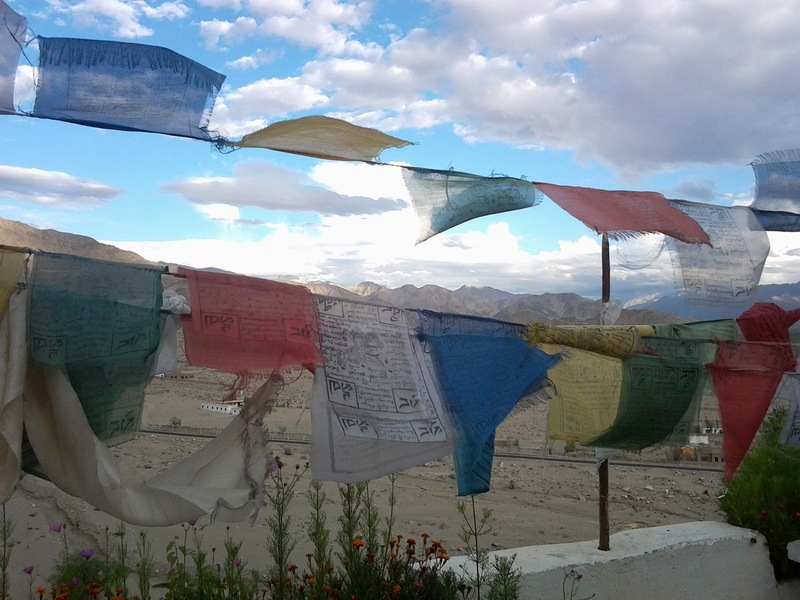 We also asked them to arrange inner line permit for us to visit Pangong lake, Tso Moriri and other restricted area. We paid 350rs per head for permit. Lunch was unusual, I thought of starting with soup and ordered Thupka Non Veg Soup. When I got the soup then I realized after having that I will not need anything else. 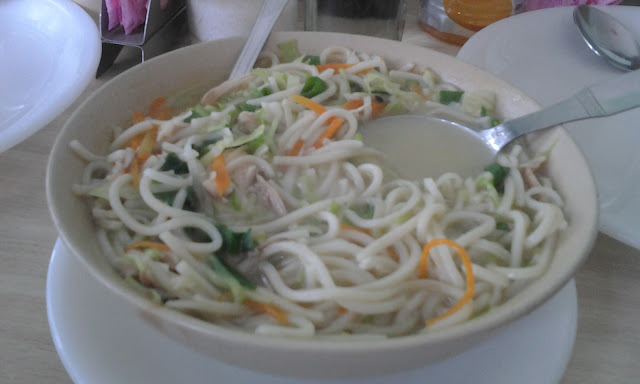 Thupka is actually noodles soup, with lots of noodles, vegs, chicken. I came back to hotel, Slept again till 6 PM and spent time in the hotel garden, reading the new book I bought, taking tea and then talking to other people staying in the hotel. Day 2 15th August, Independence day. I woke up bit late and reached Polo ground which was 2 km from my hotel, walkable distance. By the time I reached it was 10 AM and flag hosting was already done and some cultural activities were going on. Ground was jam packed; I didn’t get any seat but got one good place to stand. Was there for half an hour, good see all the children singing patriotic song and the one play on Mahatma Gandhi. Reminds me my childhood days. I left the ground around 11 AM and went back to our tour operator in Leh main market, where my new friends from Pune were waiting for me and got one Innova booked. Plan was to visit all the monasteries around Leh. 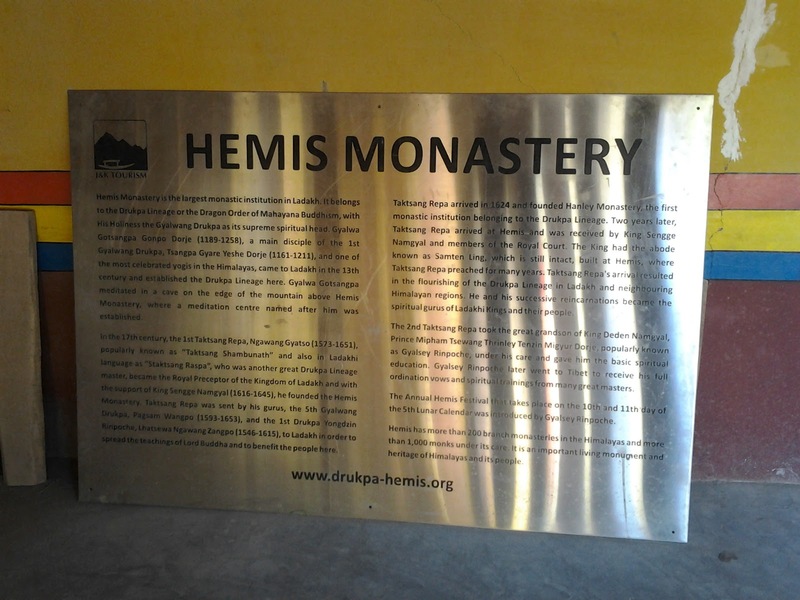 If you are wondering what is Monastery, then here you go…Monastery actually denotes the building, or complex of buildings, where all the Buddhist monks living in community or alone (hermits). The monastery generally includes a place reserved for prayer, schools, and living rooms. 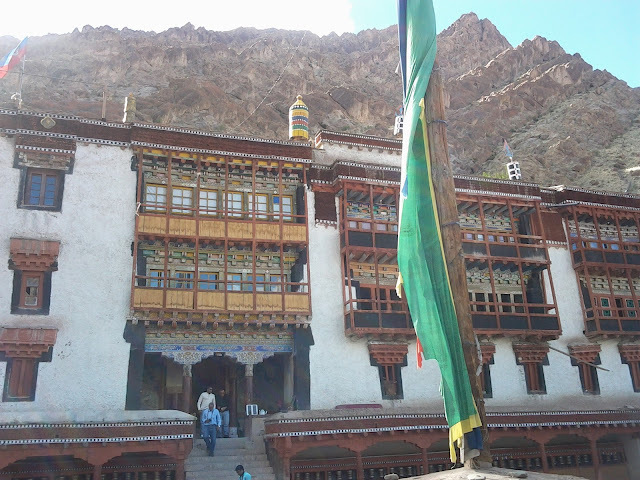 We covered 5 monasteries that day Thiksay, Hemis, Stok, Chemday and Takthok. 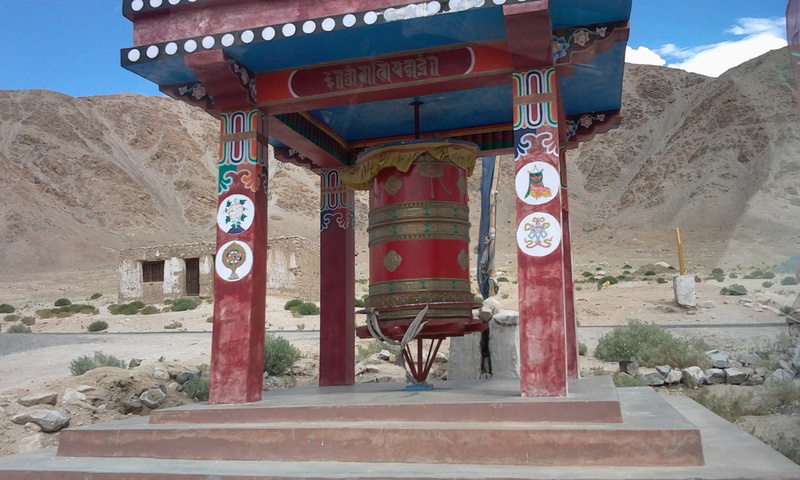 By the time we reached Hemis it was around 3 pm and I almost lost my interest ;-) after watching all the temples, prayer rooms, statues, museums. 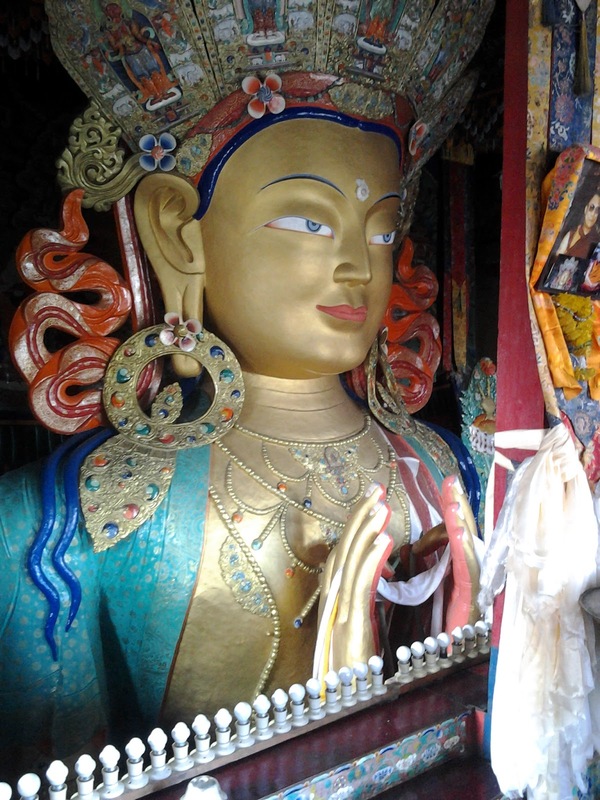 But it was good to know about the Buddhism, their culture. 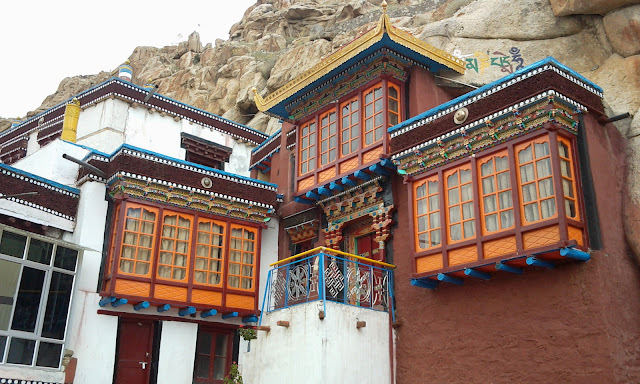 There are good views of Chemde Gompa on a hill overlooking the valley. 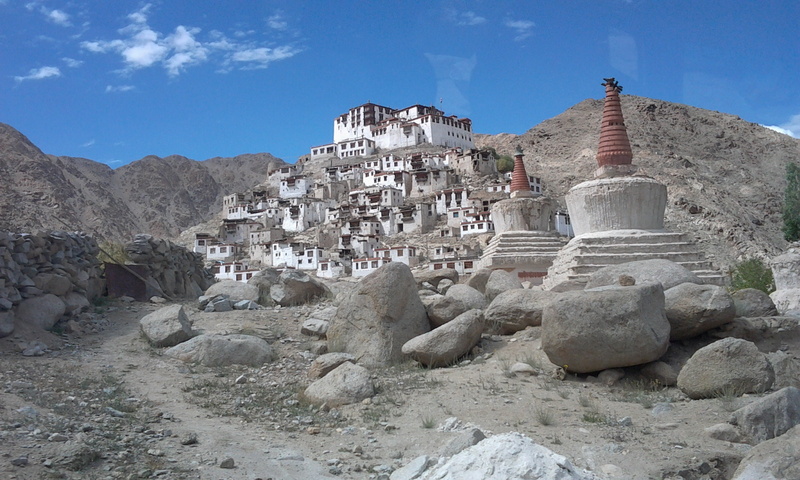 There was a small settlement below the gompa surrounded by green fields, some carefully terraced. Higher up the valley the houses were more isolated surrounded by farmland. There were super views back down the valley to the snow capped mountains on the other side of the Indus Valley. 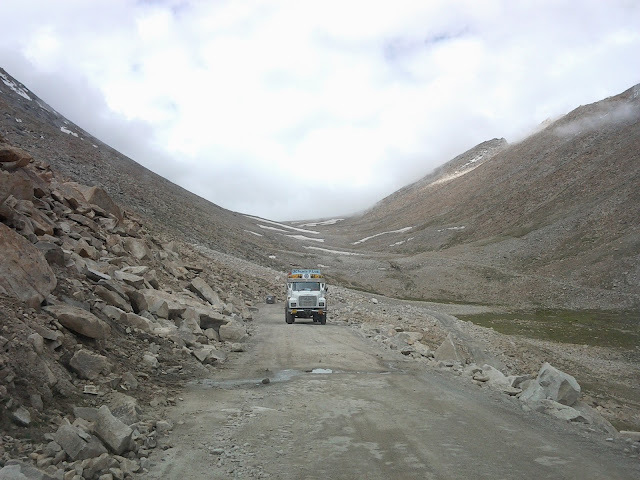 Closer to, there were steep rocky mountains of bare rock, dust and scree. Evening we spent in one of the café having ginger honey tea and spicy french fries and pan cakes. Most of the cafe and restaurants in Leh are open air and always filled with tourist mostly foriegner, so chance of getting various kind of foods are high. The journey to the lake was as usual leh, the narrow and bendy road is cut out of a ledge along the side of the mountain, which rises steeply on one side. The other side drops steeply into the valley with no safety rails. It hardly seems wide enough for cars to pass, but they do, often at the narrowest bits. 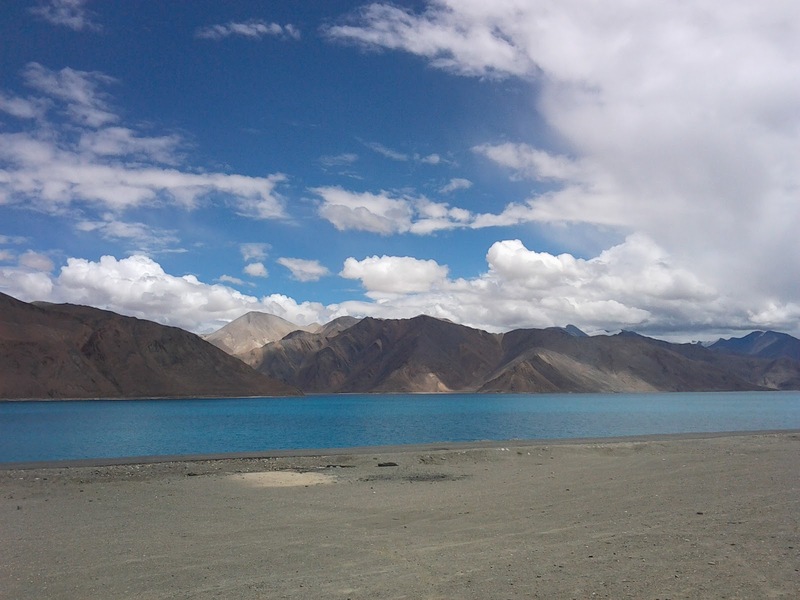 We reached Pangong Lake around 11 AM, it was nice sunny day and we could see the crystal clear blue lake. The lake changes in color during the day. The deepest hues of blue are when the sun is high.It loses color later in the day and turns dull as the sun moves towards the horizon. Pangong Tso , Which means hollow lake, is a salt water lakr at 14500 ft, flanked by giganatic peaks over 19700 ft/6000 m high.It is 134 km long and extends from India to Tibet. 60% of the length of the lake lies in China. Pangong Tso is in disputed territory so you require inner line permit to visit the place and you have to show the permit to the various check posts. There were few restaurants in the temporary tents. 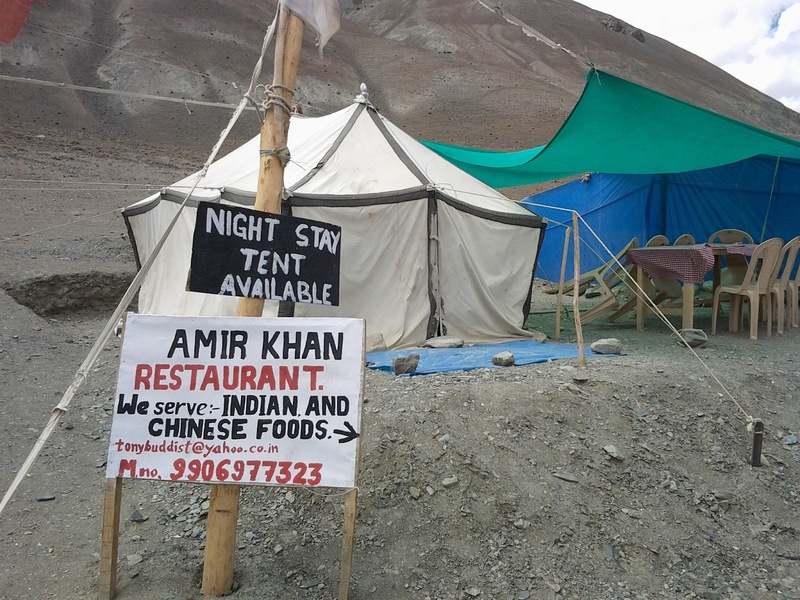 We took our lunch there in the Aamir Khan’s restaurant. I took Maggi again with coffee. At the end when I saw the owner and his 3-4 year daughter drinking one tea, I asked about it. Then I came to know that traditional Tibetan Tea. He insisted me to take one, I agreed and it was surprisingly refreshing. Then he showed me how they make that tea. 4 hrs journey again and we were back to Leh by 6.30 pm. In between we again had nice ginger honey tea at Changla.